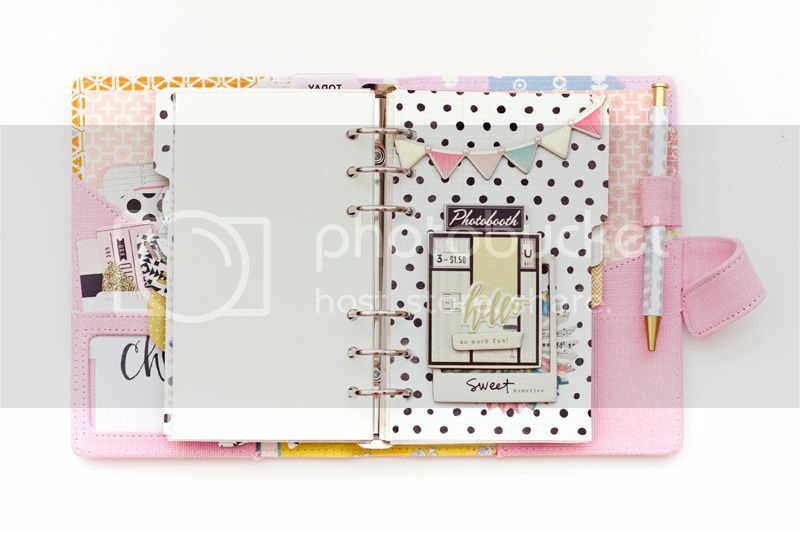 I've been admiring all the pretty planners out there but I wasn't sure if I have time to sit down and plan my daily events on an actual planner. I didn't dive straight into the trend but waited for a bit. After much thought, I finally took the plunge and decided to decorate this pink planner that was gifted to me by a very good friend. 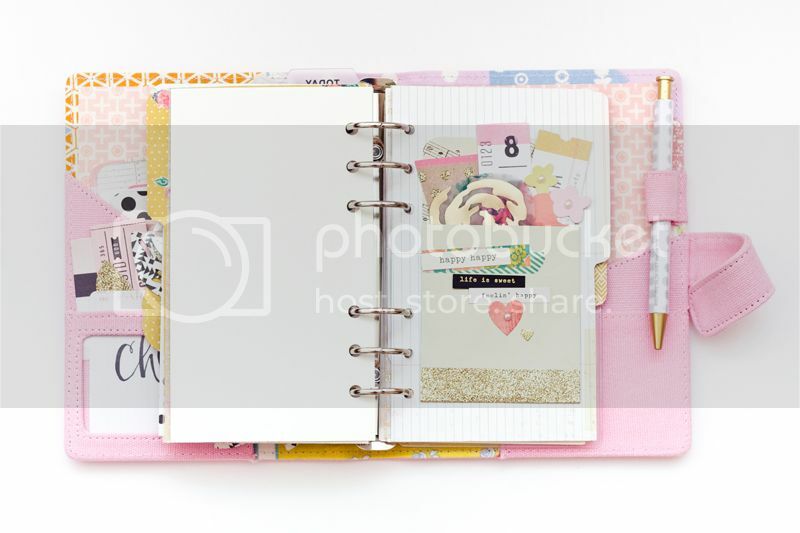 Today, I'll be sharing with you on how I set up my A6 fabric planner. Since I don't have the liberty to use this planner everyday, I decided to change things around. This planner won't be used for daily purposes but it'll be for jotting down special dates & part of this will be used as photo journal too. 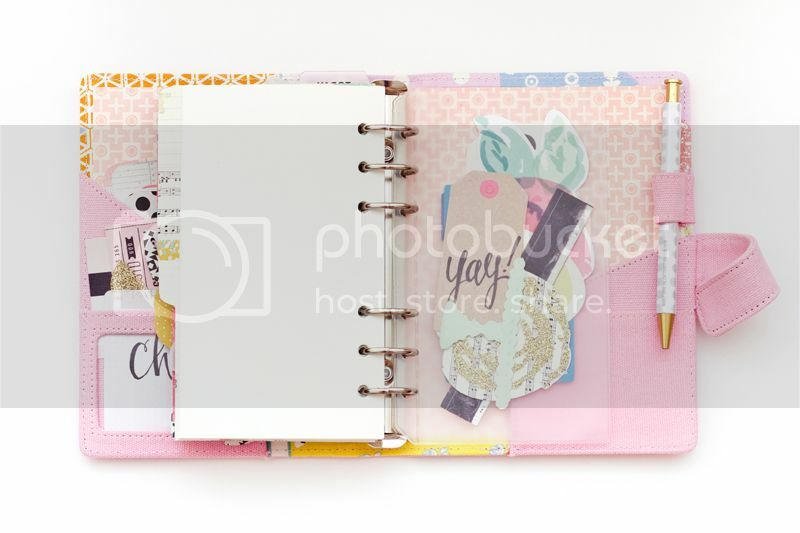 The fabric on the inside of this planner is very colourful and I decided to tone it down. I took one of the Confetti patterned paper, cut it according to the size where I can slot the paper in and glued it onto the fabric. It definitely suited my style! 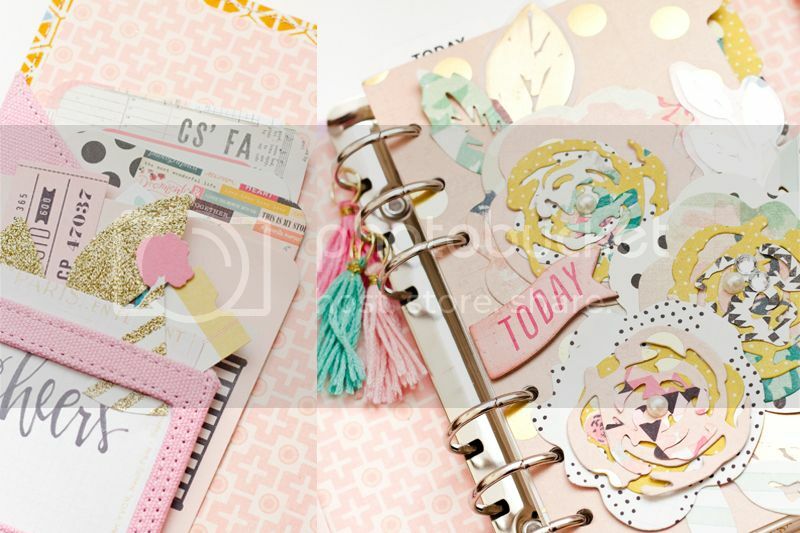 Then I started to work on my dashboards & some other inner pages with the Confetti + Open Book products. TODAY | I'll use it for important dates that I need to pay extra attention to i.e. appointments/ my daughter's school events/ grocery list, etc. Here are close-up shots of the above page. On the left side, I inserted some fun ephemera die-cuts and also project life cards. 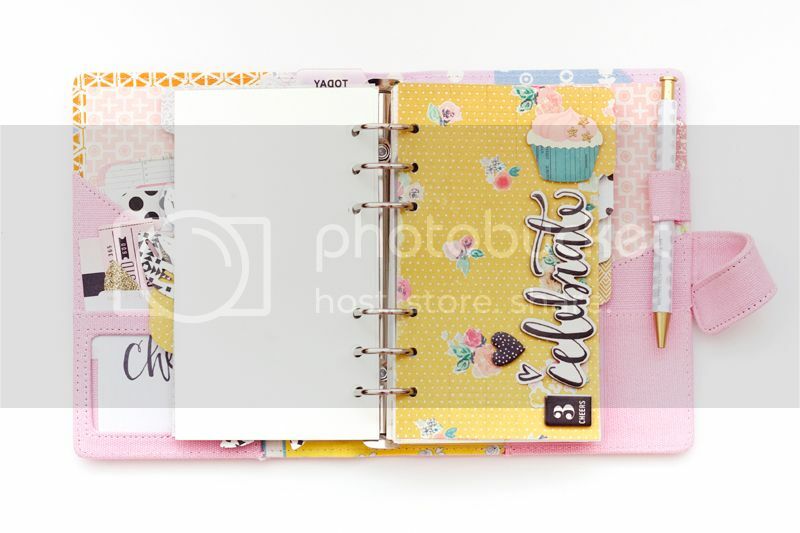 These can be used to create a quick little notes for friends or birthday wishes! And on the right side, I created these beautiful flowers with the Confetti metal flower cutting dies. Don't you just love those little cute tassels? They are just perfect! PHOTOBOOTH | I'm planning to adhere polaroid photos and write short journaling. 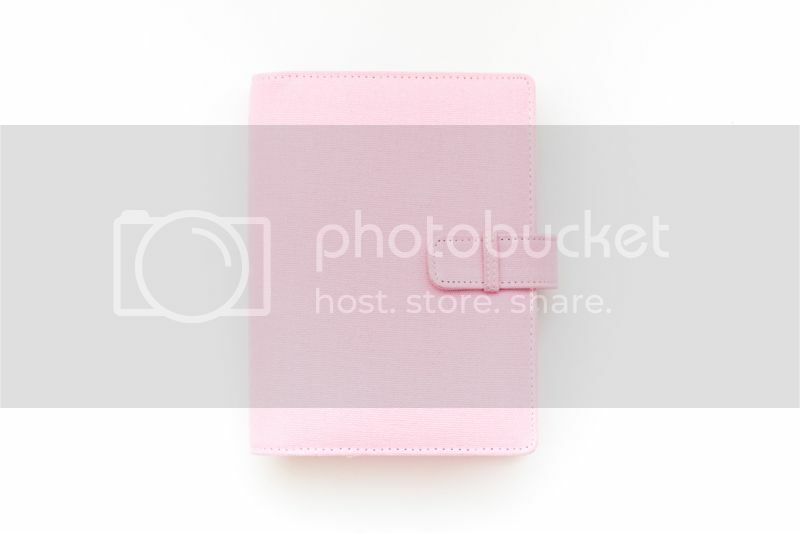 The clear pocket at the back of this planner is perfect for little ephemeras where I can just write short notes and gift it to someone as positive encouragements/ short prayers! 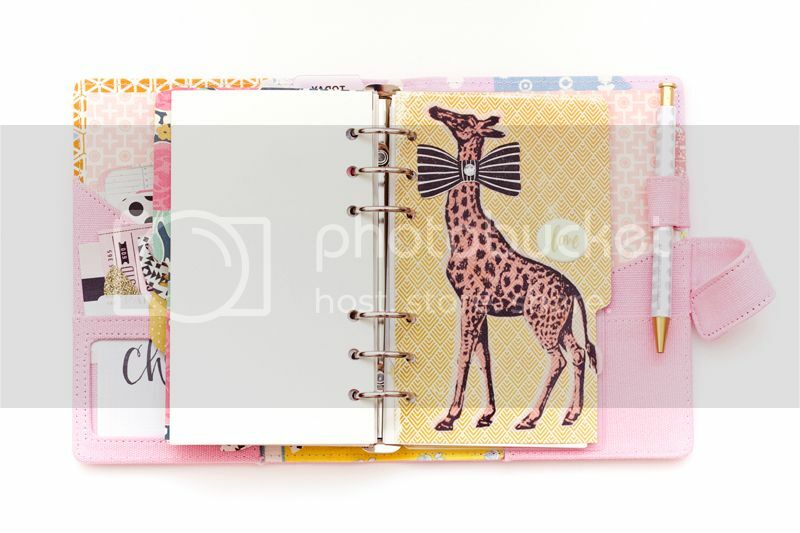 I love that I can use this planner in such a versatile & fun way! 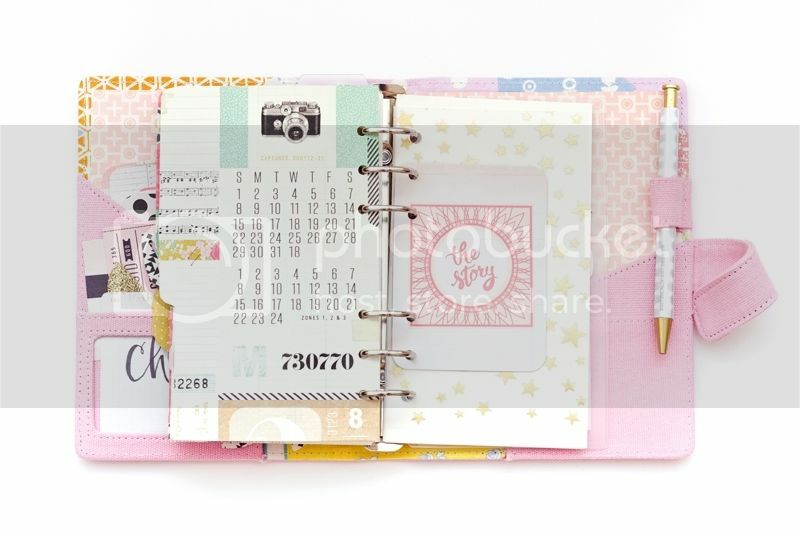 I hope that you'll try it out & create something interesting with your planners. 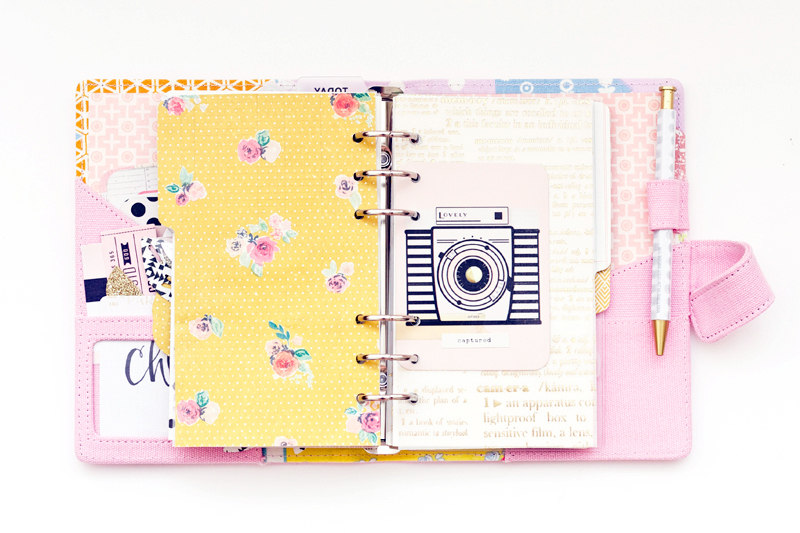 You can also try this out with a notebook/journal too. Thank you for letting me share today! 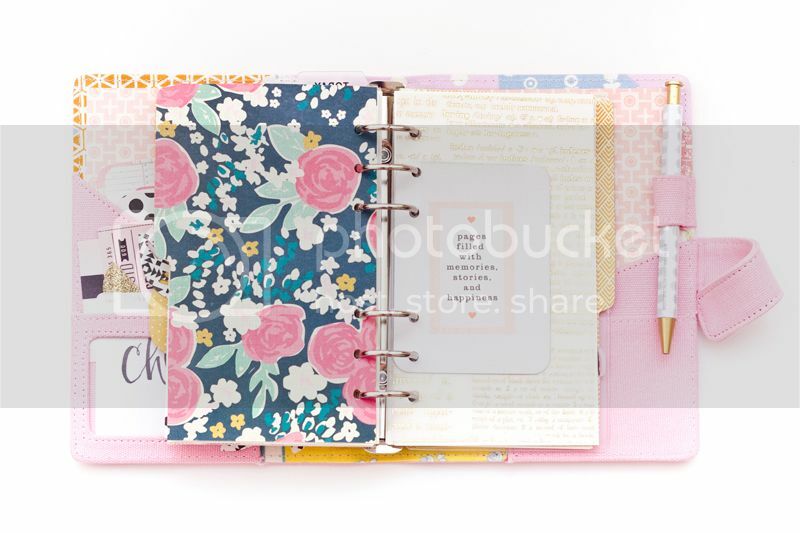 Where is this planner from? Prima Marketing Design Team : Party Time!